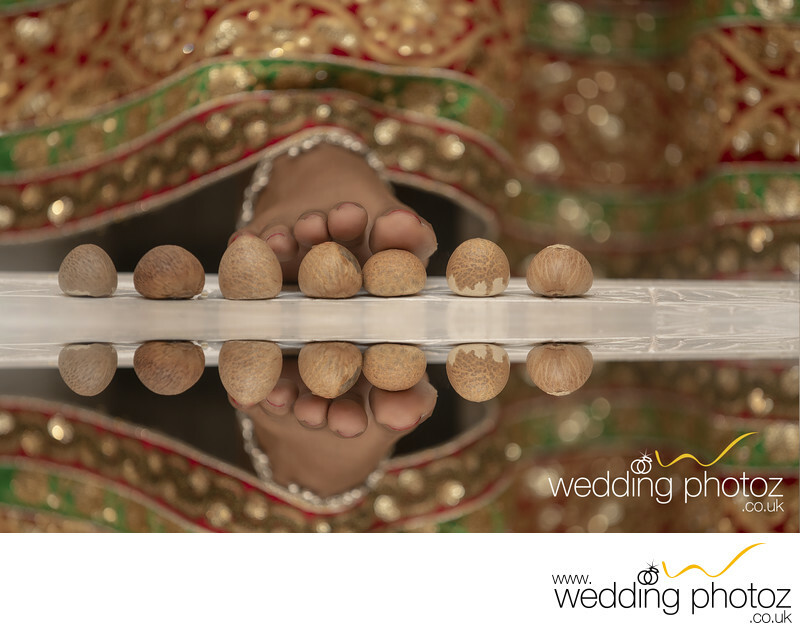 As part of the Indian/Hindu ritual/tradition, the couple would take seven steps to symbolize the beginning of their journey together. With each step they make a separate vow. Location: Watford, Hertfordshire, Middlesex, London, UK. Keywords: Saptapadi hindu wedding photograph (3).